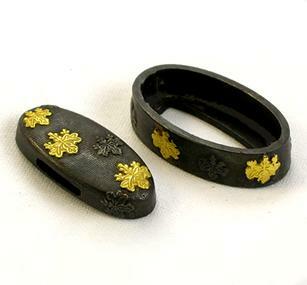 Blackened silver with gold kirimon. 1.5 inches (38 mm). This finely crafted set is available either with alternate black & gold mon or with all the mon in 24K gold.